Back again, with a new theme! This month, the theme is Summer Matsuri, so I decided to make some pretty little lanterns. They can be displayed any time of the year, for any reason! 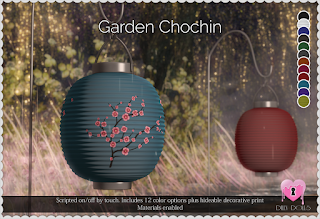 First up, the Garden Chochin! 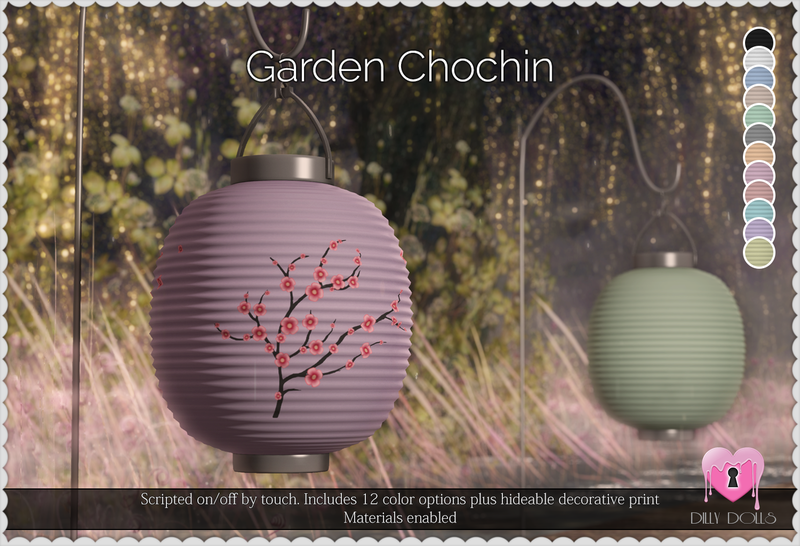 These lanterns come in two color packs, dark & light. Each is texture change via included HUD. The decorative design can be hidden as well! The soft light can be turned on or off with a simple touch. 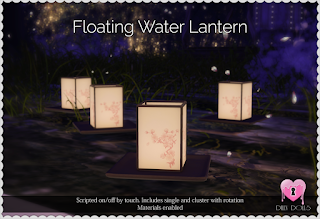 Also new, is the Floating Water Lantern. This simple piece only comes in one color, currently, though I may add more once it is moved into the store after the event ends, if I can find the time! 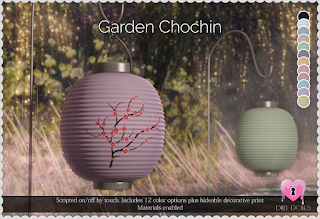 As with the Garden Chochin, the light can be controlled by touch. 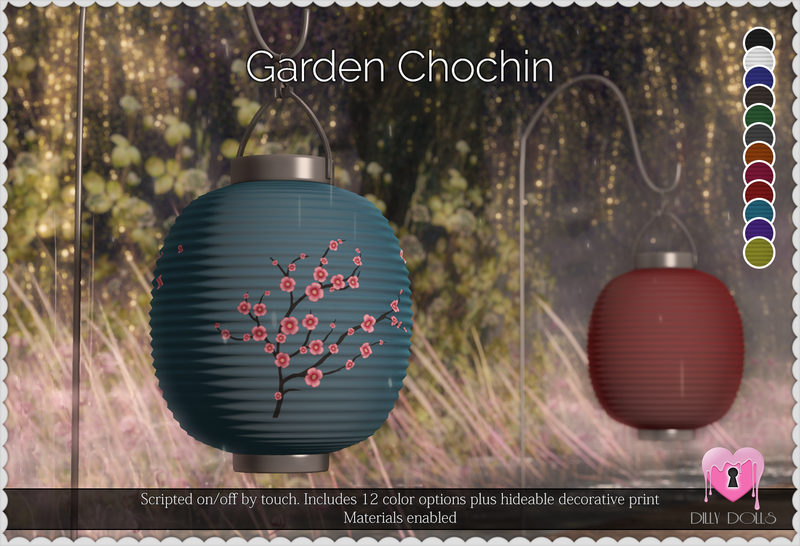 These lanterns are 100% original mesh, and will be available at The Kawaii Project until the round ends.